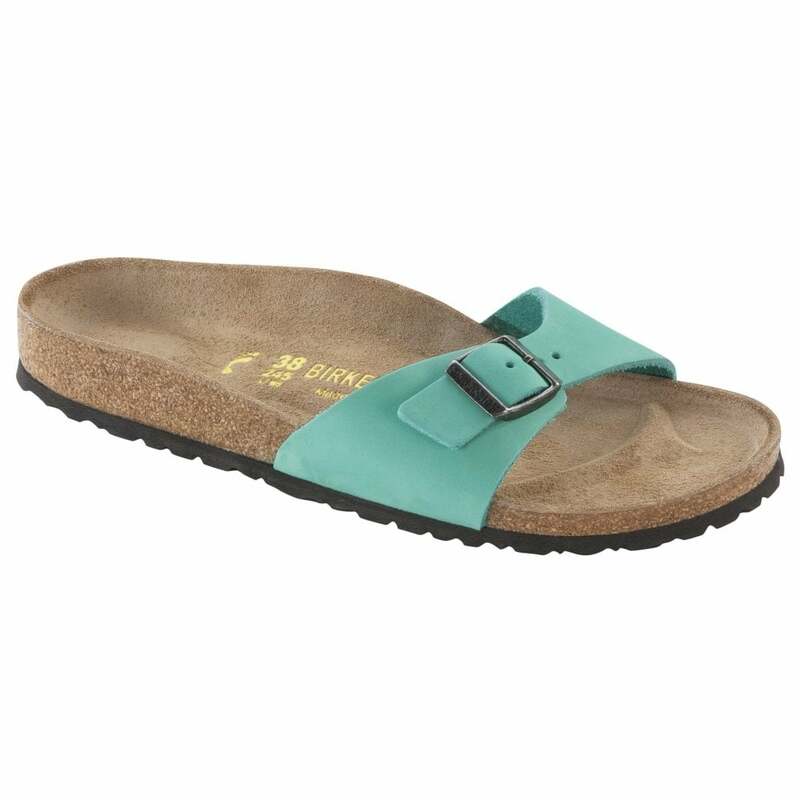 Upper Nubuck - Nubuck leather used by Birkenstock® originates from the best European hides. Nubuck leather is a full grain leather whose natural characteristics are enhanced by buffing the top layer. This creates the velvety finish unique to nubuck leather. Lining Suede - The Suede Leather is also extremely strong and supple and is, as with all other leathers used by Birkenstock®, dyed rather than sprayed, allowing maximum breath-ability. The natural differences in the surface texture are unavoidable and prove that only genuine leather is used. Ethylene vinyl acetate has good clarity and gloss, barrier properties, low-temperature toughness, stress-crack resistance, hot-melt adhesive water proof properties. EVA has little or no odor. Popular single strap with Nubuck uppers. Featuring adjustable strap, cork/latex footbed, and shock absorbing EVA sole. Birko Flor® Nubuk has a leather-like surface texture, resembling nubuk and has the same soft features as Birko Flor®. Wipe Birko-Flor uppers clean with a damp cloth. Birkenstocks with cork footbeds come with a light coating of cork sealant on th edges, which prevents them from drying out. If you're a fan of the Birkenstock Sandals you're sure to want a browse at the Childrens Birkenstock too.